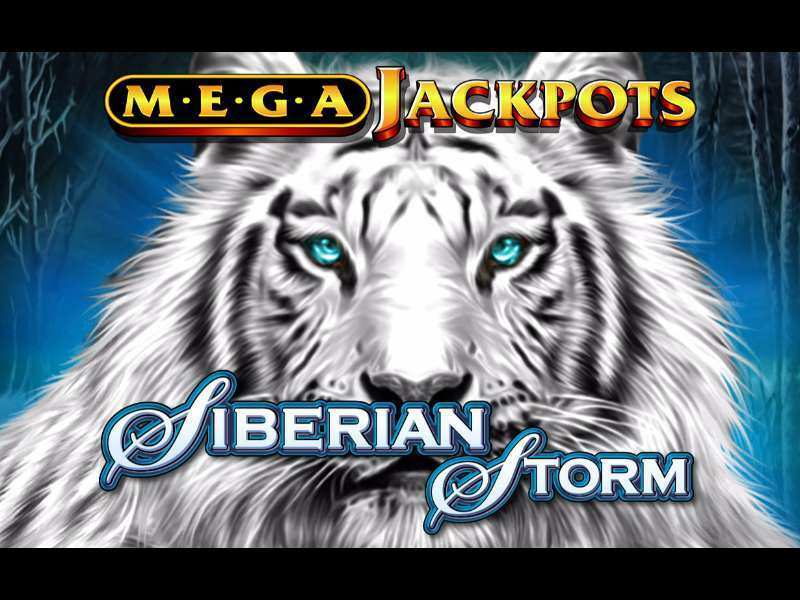 The magnificent Siberian Tiger is the center of this free online casino slot game Siberian Storm Mega Jackpots by IGT. Siberian Storm has been a popular choice for gamers in the UK and beyond for quite awhile, the only objection against it being the lack of a Jackpot. Siberian Storm Mega Jackpots Slots addresses precisely this issue, improving the gaming experience with the introduction of the whopping Mega Jackpot of Millions! This version of the game is geared to keep you on the edge from the get-go and playing intelligently could enable you to actually win the Jackpot and win it big. The game is played on 5 Reels with 720 winning possibilities to get gambling with! The MultiWay Xtra configuration introduced with Siberian Storm raises the stakes, making it possible to win through combinations read from left to right as well as right to left on the machines. This really increases the probability of higher payouts leading to the nickname of “Payout Master” for this IGT slot. The symbols in the game are jewels and Tigers! The Tigers, of course, are the emblems of the wild Siberian North that the game is located in but the jewels are intriguing, probably representing the unexplored wealth of adventure that the game does bring to you. The Siberian White Tiger is the wild symbol of the game, as the player gets to save it from the Siberian storm taking over its habitat. The Wild symbols multiply your winnings, especially if you’re lucky enough to get them stacked in which case a player could get their stakes multiply many times over. The Scatter Symbol in this Game is the Mega Jackpots Slots Logo. This substitution means that it triggers the bonus features like the Free Spins and most importantly, the Progressive Jackpot. This is definitely the symbol to look out for when the game’s in play. The Siberian Storm Mega Jackpots online game is suited to both high and low stake players but higher bets increase your chances of hitting the Jackpot manifolds, making the game a suitable playing field for the risk-takers out there. The appearance of 5 Scatter symbols, that is, the Mega Jackpot Slots Logos across the 5 Hexagonal Reels triggers the Free Spins AND the Jackpot. The player gets 8 Free Spins which can be accumulated up to a whopping 96 by getting more Eye of the Tiger symbols. These can also be re-activated in the course of the game up to a potential 30 times, significantly multiplying the player’s chances of a big payout. The Jackpot seeds at nothing less than 500,000 and is known to often hit the Million marker! The chances of winning the Jackpot increase with its increasing values. It is hence more productive at 750,000 than at 500,000 and furthermore at a Million than at 750,000! In fact, the game’s RTP increased to 93% once the million mark has been breached. The stacked Wilds also make the Free Spins a potentially rich source of bonus rewards, making it possible to multiply one’s deposit by over 500 times its value. So overall the game packs a powerful punch, combining winning chances with innovative and quirky bonuses to rejuvenate and make more exciting an already popular Slot game. The Siberian Storm Mega Jackpots Online will most definitely give the player a roaring time. Go ahead and play free Siberian Storm Mega Jackpots casino slot machine for free! The game, with its adventurous theme, has lots of winning opportunities to offer with the MultiWay Xtra feature further bolstering the entire package, making it one of the best picks of the lot. The payouts are worth the risk and the Jackpot, if you hit on it, is a treasure-trove. So go ahead and win some real money from this no download gaming experience that is quite the internet-sensation. 0 responses to "Siberian Storm Mega Jackpots Slot"
3 Bullseye! Cracking the Jack-pot!